The weeks following E3 are generally slow to deliver news as companies settle in following their announcements and showings and prepare for upcoming marketing pushes as respective releases near. That has been the case at this point with pretty much every sports game slated for the fall – but NBA 2K13 is in such position of strength that smaller or even vague details can be mentioned casually that are ultimately worthy of discussion. Two recent ones come from lead gameplay designer Mike Wang (@Beluba), who probably has as much or more credibility than any other sports game developer, commenting on the Isomotion dribbling controls and work being done with physics. The ’94-’95 Seattle Sonics being included in NBA Jam: On Fire Edition is one of the single greatest announcements ever made in NBA video game history. Yes, you read that right. Gary Payton, Shawn Kemp and Detlef Schrempf will making a grand return to the two-on-two arcade sensation. This is just another step in the right direction for NBA games. The Sonics will be their own option. They won’t be some secret team hidden underneath the Oklahoma City Thunder. 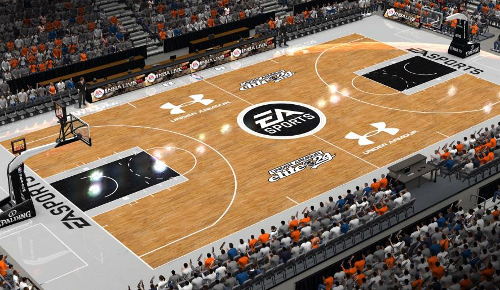 They won’t be stuck in Sonics jerseys running around on a court full of blue and orange (remember NBA Live 10?). Isn’t that exciting? 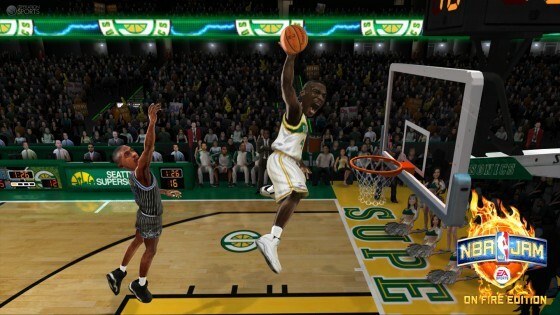 For those of you who remember playing NBA Jam: Tournament Edition, you remember one thing: The Sonics were the best team in the game. This isn’t the homer in me coming out (it usually does when it comes to the Sonics), it’s a fact. The Bulls didn’t have Jordan — who only appeared in limited arcade versions of NBA Jam. Payton was as fast as any other guard in the league, and Kemp was the best dunker in the game. The Reign Man was even a block monster. Oh, and did I mention both players could hit the 3? 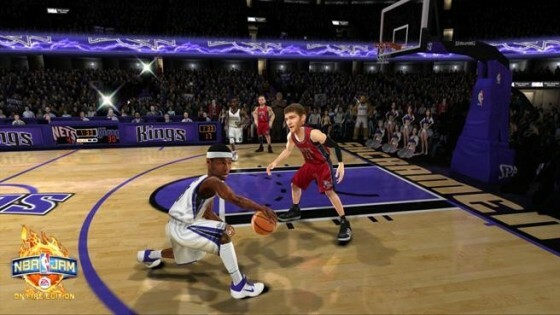 NBA JAM: On Fire Edition Blog – What is R.E.A.L. AI? I’m Fraser, AI Lead for NBA JAM: On Fire Edition. As Trey mentioned in last week’s JAM update, http://www.ea.com/nba-jam-on-fire/blog/whats-cooking, I wanted to follow up on the R.E.A.L AI feature that we brought in for this year’s game. You guys deserve a clear explanation of the tech, and why we felt it was a good fit for JAM. The Name: You can’t create good tech and not give it a name; given that the name sounds like a contradiction, let’s start there. Over time, the tech has come to be named Real AI. Initially though, it was R.E.A.L. AI, the acronym being Record, Evaluate, Adapt, Learn. That pretty much sums up what the system does. The Tech: Players of different skill levels play the game. The system records them playing, cuts their play session into up into what we call ‘sequences’, and then records what the defense was doing during each of these sequences. We then take those sequences, run them through various processes, and the AI can then use them when they see the defense doing something similar to the recording.